Welcome to one of Britain's most respected and established equestrian centres, located in Cumbria in the north of England. Easily accessible, with excellent facilities for horses and riders. Regular dressage and showjumping competitions. Rider training from beginner to advanced. Examination Training. Indoor heated swimming pool. Floodlit. spacious parking. Heated viewing gallery. Overnight stabling by arrangement. 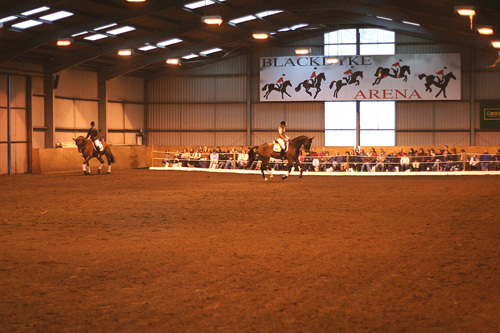 Family owned and run by John and Anne Collier, Blackdyke Farm Riding and Competition Centre is a long-established, but still developing facility. You will be made welcome and can feel confident in high standards from qualified staff.